We eagerly expect challenging cases related to Valve from all over the world. 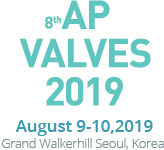 Submitted cases will be reviewed by AP VALVES Scientific committee. Please share your case with the world-renowned experts at this event. Selected case presenters will be invited as faculty of the year 2020.